Did you make a new year’s resolution to declutter your home? Yeah, me too. I started in my bedroom… the black hole of our home. Or maybe that’s the garage…? In any case, it’s where things go to die. It’s the catch-all room. People are coming? Quick, throw all this in Mom and Dad’s room and shut the door! Which is really sad, right?! It’s definitely a bit of a hazard at best. So, we are on a mission to declutter this year. I’ve already completed one ‘declutter paper’ mission! One of the first boxes I came across in my room was full of papers. We’ve moved this box three times, and I’m not sure it’s been unsealed since move number one. Like, why do I still have this at all, right?! When I started looking at them, I realized why I didn’t just pitch the whole box. Some of the papers are things I do need to keep – hey, that’s where the car title is! – and some of them need to be disposed of in more than just a simple trash can. That’s where my Fellowes 79Ci shredder came in so handy! I got to looking around my house and realized that we have a lot of paper clutter. With all the holiday cards we just received, Christmas and the explosion that comes with that, the end of year mail that companies like to send and things that Big J brought home from school, we had stacks of paper hanging around that didn’t really need to be there. So, I decided to clean out these 10 places one afternoon and I can’t believe the difference it’s made. The mail collection. This was a HUGE offender. Since we’ve been on Winter Break, there were more people bringing the mail in everyday. And we were getting more mail the last few weeks too. I try to go through the mail when I bring it in and throw the junk in the trash. My husband and boys bring it in and set it all on the counter top. We had little mail piles all over the counters before I realized what was going on. This is a pretty easy place to start to declutter paper in your home. The junk drawer. I am the big offender here. I like lists. Lots and lots of lists. Shopping lists, to do lists, phone number lists, calendars, gift lists, food preparation lists, you get the idea, right? I’m terrible at taking my notes and just sticking them in the drawer to sort through later. So, I went through them and recycled the irrelevant ones. The ones that still had worth went into a small basket in my drawer so I can actually find what I’m looking for until I can come up with a better filing system. The desk. 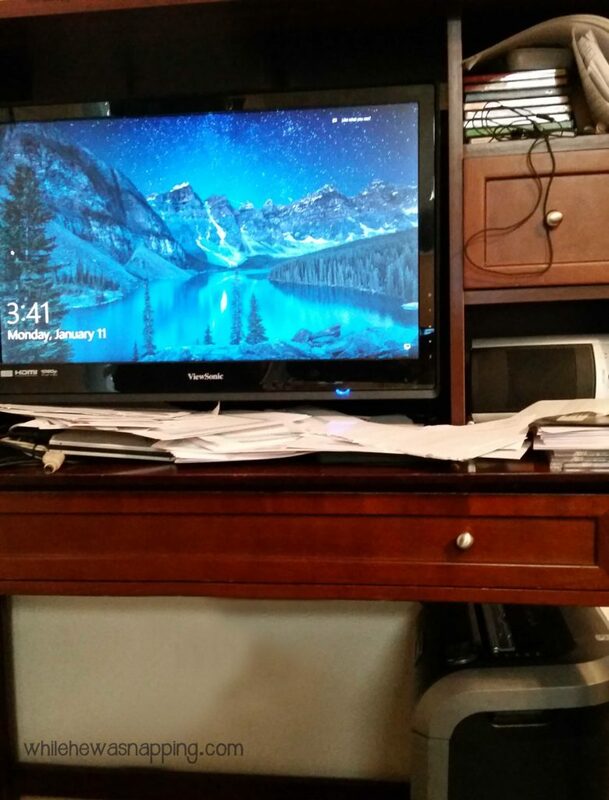 Our desktop computer is in our dining room and is shared by the family, although Mr. Napping and I use it the most. We both are terrible at leaving papers on the desk. and it’s not a big desk to begin with so whether they are bills, misprints from the printers or doodles that the kids bring us, the paper clutters up the desk in a hurry. I filed the bills that needed to be kept, shredded the ones that were already taken care of and recycled the extra papers and envelopes. I put the misprints in our scrap paper collection and the kids will bring us more doodles on those some other time. The doodles spend a few days (or weeks) on our art board and then they are recycled or filed to save. It’s condition was not conducive to productivity at all! The laundry room. The offender here was all the tags from new clothes my family had received for Christmas. I had a small pile on the dryer that never made it into the trash. It took about three seconds to throw them out and my boys stopped knocking the little plastic pieces on the floor every time they walked passed the dryer. School papers. I never realized just how much paper I brought home from school, but if it’s anything like Big J brings home… my poor mama! And I’m dreading the day it gets multiplied by more than one boy in school. Usually I go through his backpack when he gets home and his Friday Folder as soon as he walks in the door. All through the course of Winter Break I kept finding more school papers though. I recycled the unimportant stuff and filed the things I wanted to keep in his school box. My planner. I still use a paper planner. My husband balks at this, but I like the tangible aspect from holding the paper and physically writing things down. It helps me remember important dates and commitments better. But I had a lot of extras stuck in it too. So, I cleaned out notes, receipts, cards and invitations and my planner is much easier to carry around now. I can even see all the tabs now! My wallet. I don’t save receipts if I don’t have to, but for big purchases and expenses that I need record of, the receipts get stuck in my wallet. Christmas put more receipts in my wallet than usual and it was a bit of a mess. I filed the receipts I needed to keep and put all the Christmas gift receipts in a ziptop bag in my planner. All the others I got rid of. The car. All those receipts I don’t save… yeah, a lot of them are on the floor in my car. They start in the console with the plan to take them in and get rid of them. But, somewhere between leaving the store and getting everything and everyone inside it ends up on the floor of the car. My kids leave their papers in the car too. It’s awesome how much better cups fit in the cup holders when wads of paper aren’t stuffed in them. Diaper bag/purse. If you don’t have a diaper bag, I’m mildly jealous. Sure I like being prepared for whatever might arise when we’re out, but it’s just one more place to collect clutter too. And the latter seems to happen more often than not. 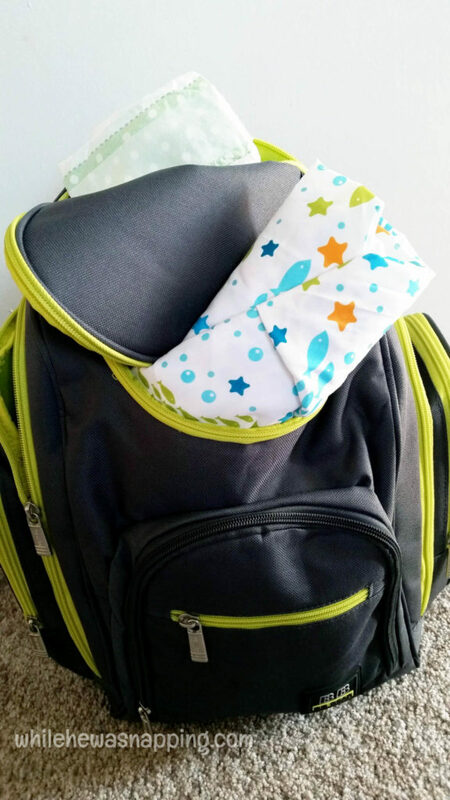 Our new rule is that no papers go in the diaper bag… we’ll see how long we can stick to that! No diaper bag? Apply it to your purse. 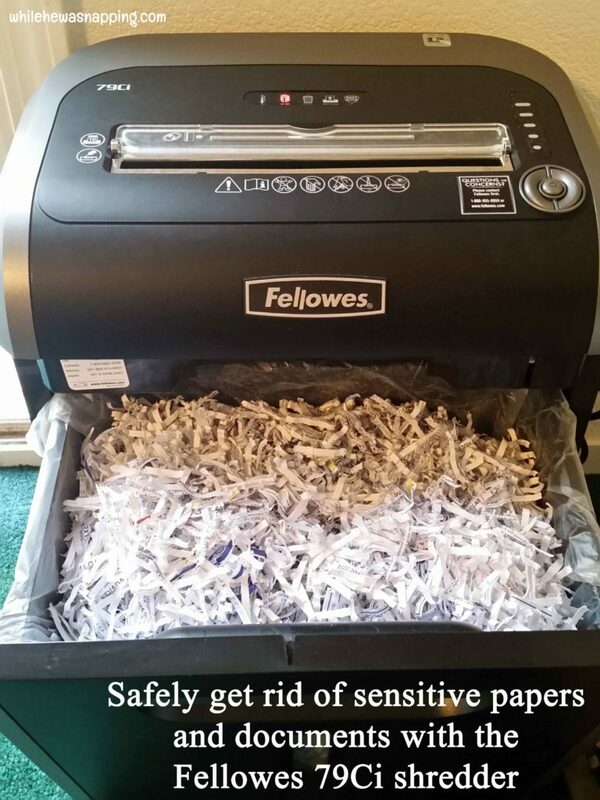 When it’s time to declutter paper, a good shredder is a must-have to ensure your information remains safe. I absolutely love my Fellowes 79Ci shredder! 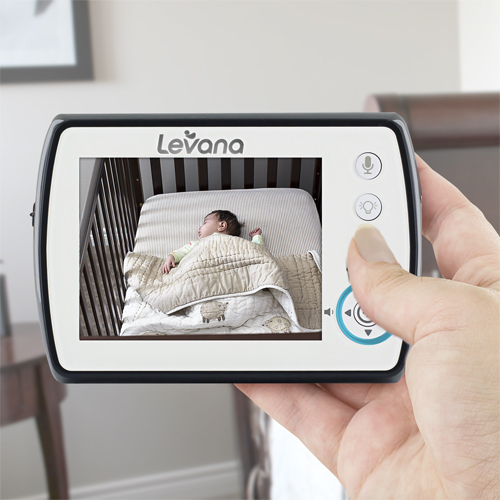 It is great for anyone balancing busy schedules and seeking time-saving solutions. The design is sleek and the power is amazing. 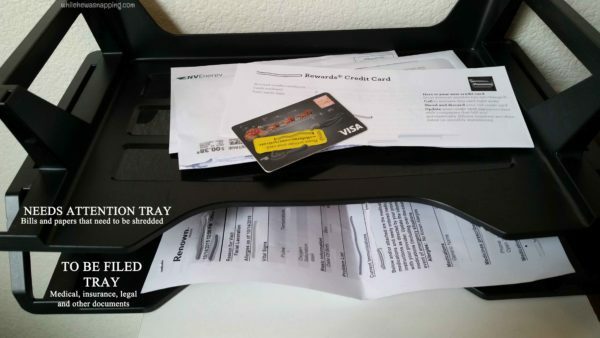 It’s got a Patented 100% Jam Proof System that eliminates paper jams and powers through tough jobs and it’s heavy-duty cross-cut blades can handle up to 16 sheets of paper per pass in addition to staples, paper clips, credit cards, junk mail and CDs. Such a time saver when you can feed handfuls through at a time! And with an extended 20 minute run time for increased productivity you don’t have to worry if you’ll ever finally shred the whole pile of papers you have just waiting for disposal. 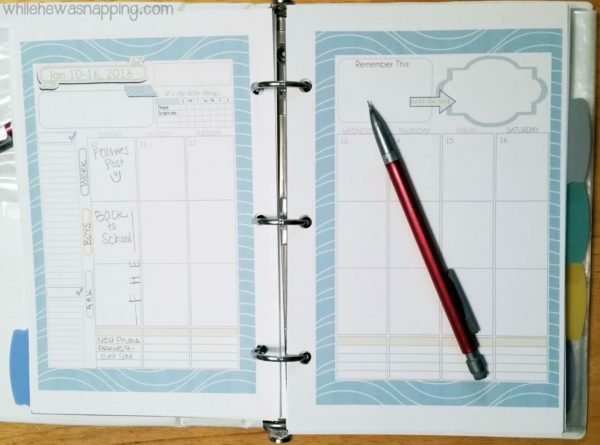 You’ll be able to declutter paper and so much more! My favorite feature of the Fellowes 79Ci shredder is the patented SafeSense® Technology which automatically stops shredding when hands touch the paper opening. It’s such a sense of peace to not have that concern hanging over my head with all my little ones around. I also really love the SilentShred™ Technology that offers ultra-quiet shredder performance. We can still have a conversation while the junk mail and paid bills are shredded. While we usually keep our shredder off and unplugged, the Energy Savings System feature maximizes shredder energy efficiency 100% of the time – both in use and out of use. 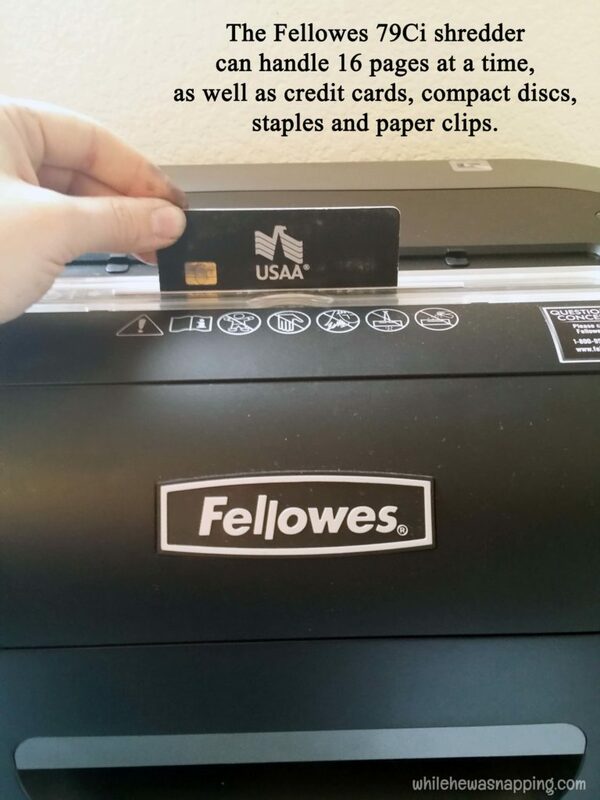 You can find The Fellowes 79Ci Shredder at Amazon and Office Superstores with a suggested retail price of $239.99. 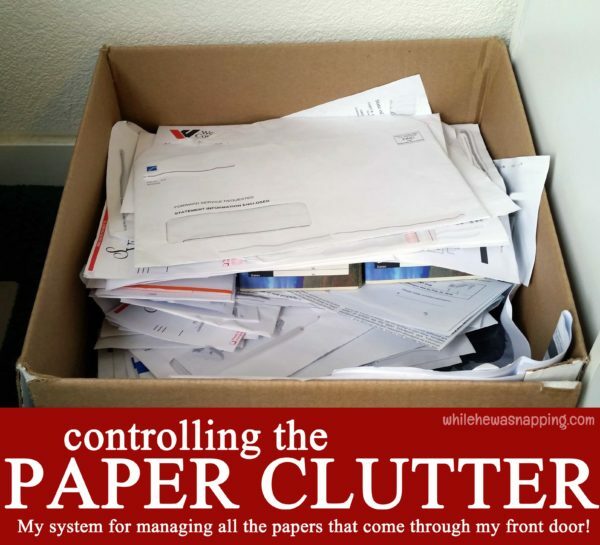 Are you on a mission to declutter paper from your home? 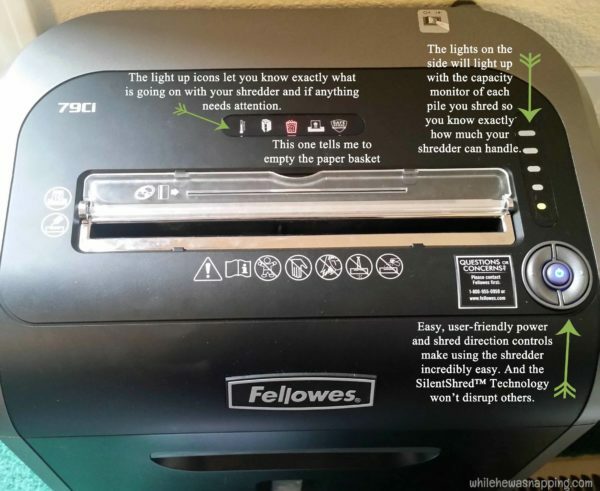 You won’t regret using the Fellowes 79Ci Shredder to help protect sensitive information on my declutter paper mission!